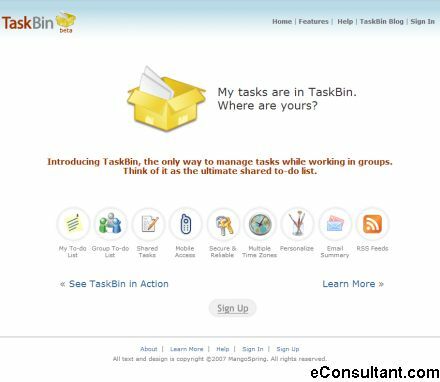 Description : In TaskBin you are always part of a group. These groups define the context of the tasks. Once you are a part of a group, the other group members can add tasks to your list or edit it. So in a sense, all your tasks are "shared". TaskBin is not like a calendar or a scheduler, and there is no need to enter specific dates. Tasks can have the following priorities: Now, Today, Tomorrow, Sometime This Week and Sometime Soon. All your tasks have email notifications, which can be turned off.